Summary: Three young teens become unlikely friends as they witness a solar eclipse. Ally is homeschooled and lives with her family at the remote campground were thousands will gather to witness the solar eclipse. Bree is a “typical” city teen only focusing on herself, looks, friends, her goal to be a model in the future, etc. She doesn’t fit into her family of scientists who are going to take over management of the campground after the eclipse happens. Jack is an artistic teen from a single parent home, who is invited to help his science teacher run a tour to the campground after he fails his science class that year. Literary elements at work in the story: This is a contemporary realistic fiction story set primarily in an out-of-the-way campground during the phenomenon of a solar eclipse. The characters belong to a wide social setting but become involved as an intimate group. This story is told in third person with an overall theme of friendship, growing up, courage and acceptance. Other minor themes include developing empathy for others, reflecting on choices made, and feeling part of a group. (How) does the perspective on gender/race/culture/economics/ability make a difference to the story? This story combines science, friendship, and growing up by three diverse teens. Students can relate to the teens and their siblings’ situations and the author engages discussions of relevant teenage situations that the characters discuss with various approaches of response. These include cultural (home school to city), economic( having money or not), family dynamics(siblings, parental, adults to teens), as well as the teacher having the faith in the children’s ability to conduct an international space experiment without his presence due to a family crisis he has to respond to. Theology: The main concept that this book returns to again and again is the courage of individuals. Giving confidence to young adults is imperative to their level of courage for the future. Peterl lost his confidence, courage when Jesus asked him to walk on the water (Matthew 14:27-31). When we put our confidence in Jesus our courage can only multiply, and ultimately this will shine for others to see. Respect is an important part of growing up today. Children need to learn respect of their elders, but on the flip side adults need to show respect to the younger generations as well. Responsibility goes hand in hand with respect, and is paramount in growing older. Responsibility to yourself, your family, your church, even society, all require a great moral accountability which can be hard as you face new situations. The greatest source of permanent comfort and inner confidence against both irrational fears and real anxieties lies in the basic truths found in Scripture. 1. How would you feel if your parents told you you were moving the way Bree’s parents did? How about not being told like Ally’s parents did? 2. Do you feel that their parents respected them? Did the girls respect their parents’ situation? 3. When there was a crisis that almost stopped the experiment, the teacher put his confidence in Jack and the group of children to carry on. Have you ever undertaken a task that you felt was overwhelming to do? Did you have confidence in the Lord to “have your back”? Did it generate confidence in what you achieved? 4. Why do you think Jack didn’t want to attend the solar eclipse even after he made friends with everyone? 5. Most of the suggestions that Bree made about moving to the city were about popularity. Why do you think that Ally didn’t seem to care about this? Which of the friends do you relate to the most? 6. Each day we must show our confidence or courage. Do you trust God to guide you each day, more than anyone? How did the children show their courage? 7. How does the eclipse affect Ally, Bree, and Jack? How does it change their attitudes and their outlooks for the future? This review was prepared by Union Presbyterian Seminary student Cyndi Beerbower. 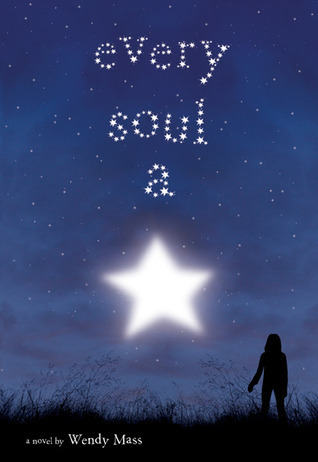 Every Soul a Star by Storypath is licensed under a Creative Commons Attribution-NonCommercial 4.0 International License.